Tech News Technology With Google Feed English in Hindi, the Google Go user will be able to listen to the webpage. In the 'Google for India' event held on Tuesday, veteran technology company Google gave information about many such features that have been prepared for a special Indian user. The company announced the project Google Navlakha Fast name was renamed to Google Pay Apart from this, many features have been announced for Google Go and Android (Go Edition). The most important of these announcements was for Google Go User. 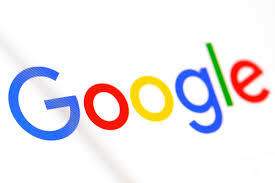 Now Google Go users will be able to listen to web pages with the help of Artificial Intelligence. Meanwhile, Google also informed that Samsung will soon launch its first Android Go smartphone in the Indian market, which was curtained last week. "Now the news of your choice will appear in the search feed in English and Hindi. It would be possible with AI learning which will know what kind of news you like. " Remember that Google gave information about changing its search app completely to mobile phones in July last year. This was done for America. The new feature was named 'Google Feed'. The company had said that it will be made available in other countries in the coming weeks. On the other hand, audio playback is also a new feature which is going to come on Google Go. With this help, the user will be able to listen to the webpage. Google says that the new feature works with the help of Natural Language Processing and Speech Synthesis AI. It comes with 28 languages support. Support for languages such as Hindi, Bengali, Malayalam, Marathi, and Tamil. It will also work on 2G networks Apart from this, Google has stated that AI will decide which part of the webpage to be read and who does not. Google also said that Indian brands like Micromax, Lava, Nokia, and Transition are making Android (condition) smartphones. Those whose prices will be such that more people can be reached.